Since 1990, Tom McDonald Contracting has been providing gutter services such as gutter installation, gutter repairs, and gutter cleaning to all residents and business owners in the Clarksville Delaware area. Without gutters, or properly functioning gutters, all the water from rain and/or snow can cause a lot of damage to your property. Tom McDonald Contracting has the experience in installing, repairing and cleaning all types of gutters. So don't hesitate to call Tom McDonald Contracting for your gutter needs. Even with so many options to choose from, Tom McDonald Contracting is fully equipped and experienced and providing and servicing each of those gutter options. 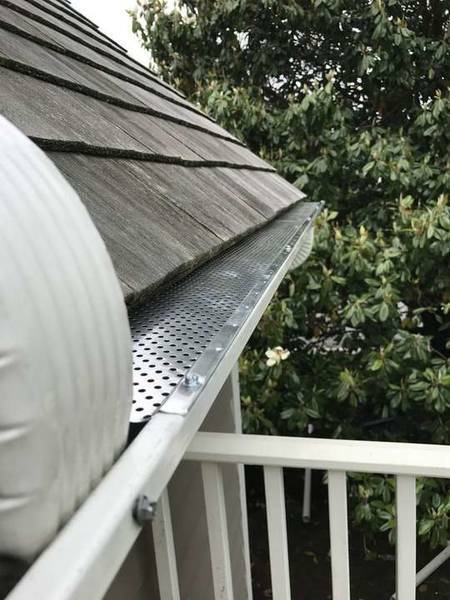 Whether it aluminum gutters or vinyl gutters, sectional gutters or one piece gutters, Tom McDonald Contracting is sure to complete your job with 100% satisfactory results. Damaged gutters need to be repaired before any more damage to your property occurs. Tom McDonald Contracting can repair any broken component of your gutter. Need a gutter repair? Tom McDonald Contracting has the fix. From falling leaves and debris, gutters are easily clogged, and can easily be cleaned. Tom McDonald Contracting will clean your gutters and make sure they are free of debris and functioning as they should. Tom McDonald Contracting has been a leading provider of gutter installation, gutter repair, and gutter cleaning in the Clarksville Delaware since 1990. Call us today for your free estimate, (302) 219-7939.